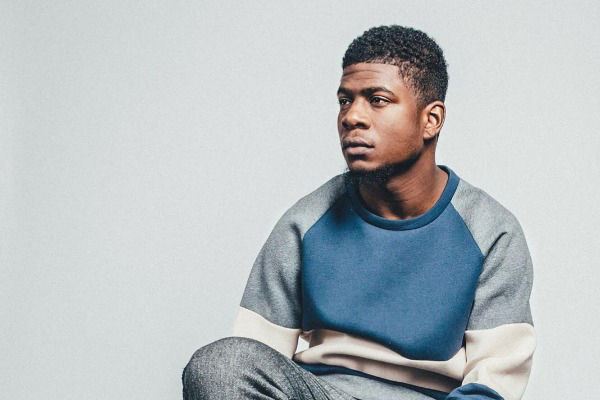 Last year, Mick Jenkins dropped his debut album The Healing Component. It was an exposé on the power of love, harmony, and peace, something the grizzled Chicago newcomer has been touting for quite some time. Many, however, saw the release as weak, concordant, and schmaltzy. I didn't. Or, I should say, I did, but I see nothing wrong with that line of thinking. In regards to Hip-Hop, in regards to cultural separation, and especially in regards to racial tension in Chicago's inner city, Jenkins' insistence on peace over violence, solution over bickering, love over hate, should be welcomed in hostile communities in need of change. Perhaps the issue then becomes abundance, as The Healing Component drowned itself in such language, whereas Jenkins' lauded debut mixtape, The Water[s], merely treaded the rappers' metaphor of H2O whilst asserting his hardened assertiveness on tracks like '514' and 'Martyrs.' Or More; The Anxious, a Soundcloud-only mixtape of seven tracks, returns to that conflicting territory, one that lures contentious street ruffians in with grit, only to circumvent that with heavy-hearted Jazz Rap. Being that this is, presumably, a collection of outtakes, Or More's quality isn't the greatest. Some tracks here, like 'C Is For CashMoney' or 'Vampire In Brooklyn,' act as redundancies to some surviving deep cuts in Jenkins' catalogue. They don't offer anything more than what you've already seen. However, some others possess a succinct combination of street grim and poetic sophistication, the most obvious of which is 'Gucci Bag.' The woozy beat choppily grooves while Jenkins continue to pronounce his alliterations, as he's prone to do. This time though there's a direct criticism of the glorification of materialistic needs, an idea also handed down by 'C Is For CashMoney.' As far as Jenkins' tone and temper is concerned, it seems as if Or More's tension diminishes over time. 'Happy Gilmore,' which opens the project, finds the rapper at his most vicious, using a rusty beat crafted from metals. Yet, by Or More's end, 'FreeNation Rebels' and 'Energies' pay a decisive obligation to the cool, calm, and collected styling's of Jazz Rap, especially the genre's forefathers A Tribe Called Quest. Saba's verse on 'Energies,' the only feature here, is one of his strongest yet, while Jenkins' demeanor shows dexterity and a willingness to accept more than one perspective on life.